This remarkable private retreat offers over 10 Acres and is Sold As -Is with no warranties expressed or implied. All offers must be submitted with a proof of funds letter and a min. of a $1,000 dollar good faith deposit. Listing information is not warranted by seller's or sellers agent. This property was a foreclosure and may need work, seller or sellers agent has no information on property condition or property lines. Please see Pva for all plat information. Also did I fail to mention that this property is Tax Assessed over $250K! Where can you find 10 Acres inside Jefferson County with a great private location for this price! Bring All Offers! Direction: Take Gene Snyder to Billtown Road turn East on Billtown Road until stop sign. Then turn left at stop sign and follow out until you arrive at address. 15705 Brush Run Rd, Louisville KY 40299 is a Home, with 3 bedrooms which is recently sold, it has 1,134 sqft, 0 sized lot, and 2 1/2 Car Garage parking. A comparable Home, has 2 bedrooms and 1.5 baths, it was built in and is located at 9311 Old Six Mile Ln Louisville KY 40299 and for sale by its owner at $ 299,000. 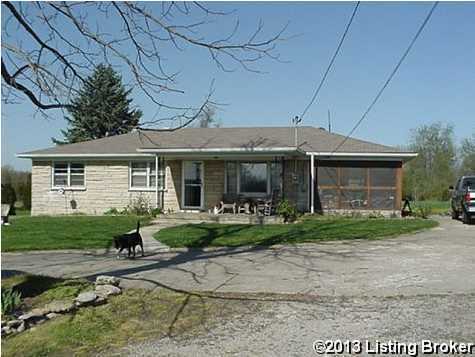 This home is located in the city of Louisville , in zip code 40299, this Jefferson County Home, it is in the NONE Subdivision, and WATTERSON WOODS are nearby neighborhoods.